Netflix recently released the hit BBC crime-thriller “Bodyguard” in the U.S. The six part series follows a British police officer tasked with protecting a high-level cabinet minister as he thwarts and investigates attempts on the minister’s life. 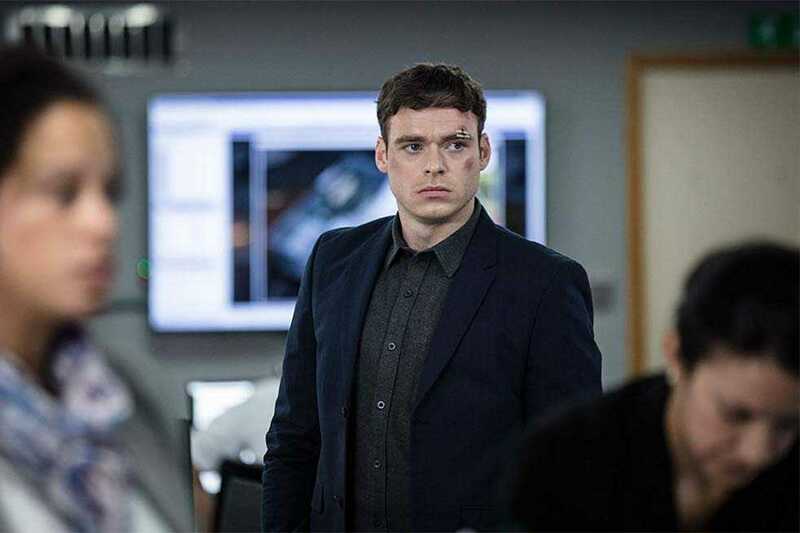 The series stars Richard Madden (“Game of Thrones”) as David Budd, the central police officer, and Keeley Hawes (“The Bank Job”) as Julia Montague, the Home Secretary and the charge under Budd’s protection. These two stars provide the best acting in the series, with Madden portraying a veteran struggling with post-traumatic stress disorder (PTSD) vividly and convincingly and Hawes bringing to life the archetype of the morally conflicted politician. The highlight of the rest of the cast is Sophie Rundle (“Peaky Blinders”), who plays Budd’s wife, Vicky. Vicky cares for David, encouraging him to seek treatment for his PTSD and remaining close to him for his sake and the sake of their children despite the two having separated due to David’s instability. The character risks falling into the sexist archetype of the woman who exists exclusively to support the hero, but Rundle’s performance saves the character, bringing nuance and strength to the role. Other than those three actors, the acting in the series is unremarkable — while the other performances are not distractingly bad, they are nothing noteworthy. The biggest strengths of “Bodyguard” are its writing and plot. The series is fast-paced and suspenseful, always drawing the viewer in and providing a seemingly endless stream of twists and revelations. From the beginning, the series is full of action and tension. The pilot opens with Budd thwarting a suicide bombing attempt on a train, convincing the bomber, a teenage middle eastern girl, to surrender herself and have the bomb diffused. Immediately the viewer sees Budd as a dedicated cop who take his job incredibly seriously and is willing to risk his own life to save others. The plot picks up quickly, with Budd almost immediately being assigned to protect Secretary Montague. One tool that series writer Jed Mercurio (“Line of Duty”) uses to keep the show interesting is setting up false storylines for the reader to follow. These are not exactly twists, in that Mercurio does not explicitly promise one sequence of events and then provide another. Rather, he simply foreshadows certain plotlines which never materialize. Early in the series Mercurio foreshadows a conflict between Montague’s hawkish politics and Budd’s disdain for war. There is palpable tension between the two that surfaces occasionally in the series, but the viewer’s concerns about Budd’s loyalty always fizzle out as the officer proves that he will do anything to protect the Home Secretary. These storylines keep the viewer from guessing what will happen next, not by employing shocking and unbelievable twists, but rather by hiding the truth among several false leads. Every episode in the series is intense and gripping, making the show virtually impossible to turn off. In an entertainment world obsessed with things that are “binge-worthy,” “Bodyguard” is a perfect fit for Netflix. The show is immaculately structured, spreading the action and plot perfectly over the six-episode run, but Mercurio does slip up on the finale. The episode contains an absurdly long segment in which Budd, wearing a suicide vest strapped on him by the antagonists, attempts to convince the police that he is not a threat and that they should help him diffuse the bomb rather than shooting him. The scene is well written and intense, but it drags on for far too long — around 36 minutes. The viewer may be kept on the edge of his seat, but after half an hour the tension becomes exhausting. Another major mistake is the inclusion of a final twist, in which one of the characters turns out to have been deceiving the viewer all along. The twist — which is reminiscent of the famous one in “The Usual Suspects” — is unexpected and jarring, but it is simply unnecessary; the show already feels resolved and settled, and the shock ending is too unbelievable for an such a realistic series. Other than these two weaknesses, “Bodyguard” is an excellent show. The viewer gets exactly what they want and expect, and there is something refreshing about a show that is well-written and well-produced, but looks to do nothing more than entertain.